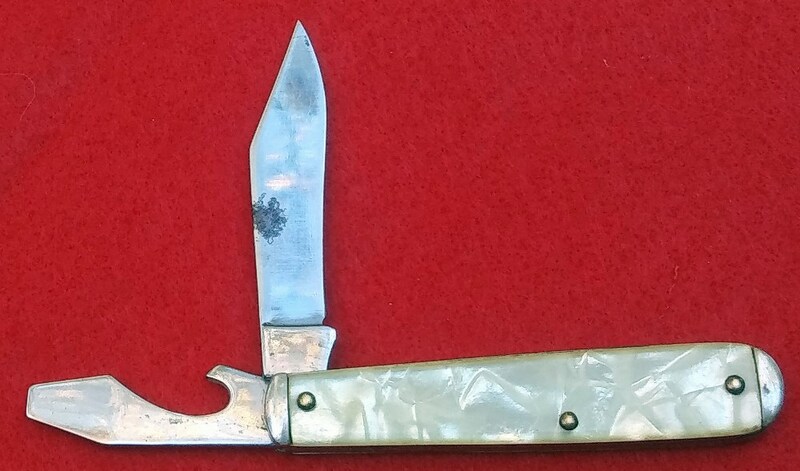 DAMAGE: A spot of rust on the piles side of the clip blade some tarnish on blades and bolsters. 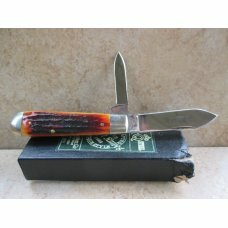 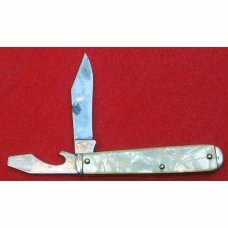 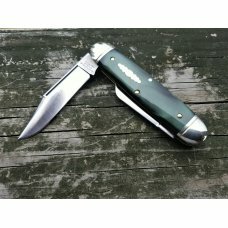 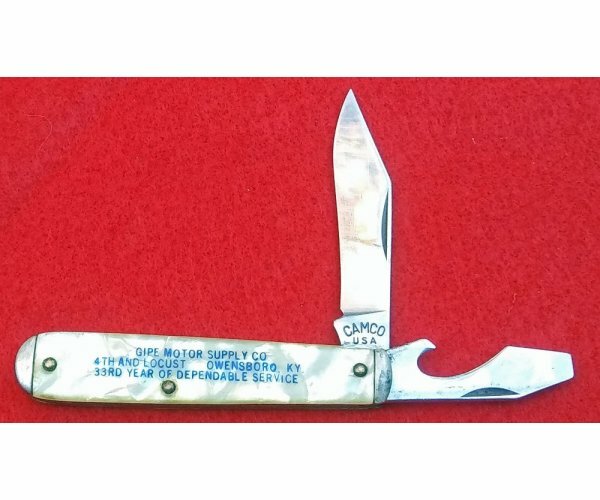 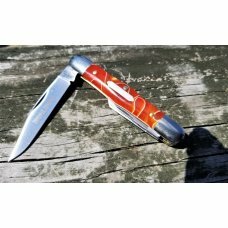 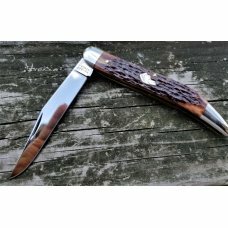 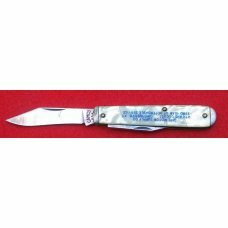 ADDITIONAL INFO: This is a great example of a Camco knife. 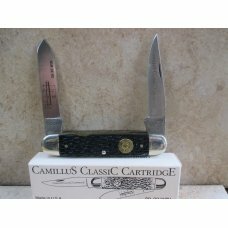 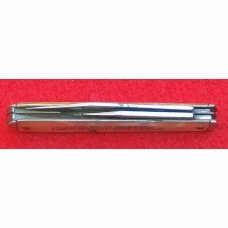 They are not as heavy as a comparable Camillus, and generally made of lighter gauge materials but they still use the same materials used in Camillus in most cases. 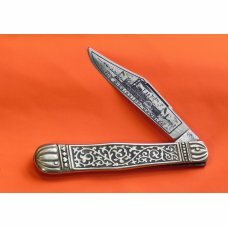 These are great economy knives and were often the first knives given to young boys. 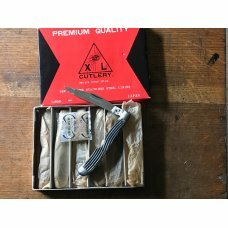 I have not sharpened this blade yet but I will sharpen it, no charge, at the request of the buyer. 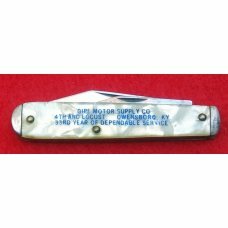 A quick Google search shows a Gipe Automotive and other businesses related to the automotive industry associated with the name Gipe. 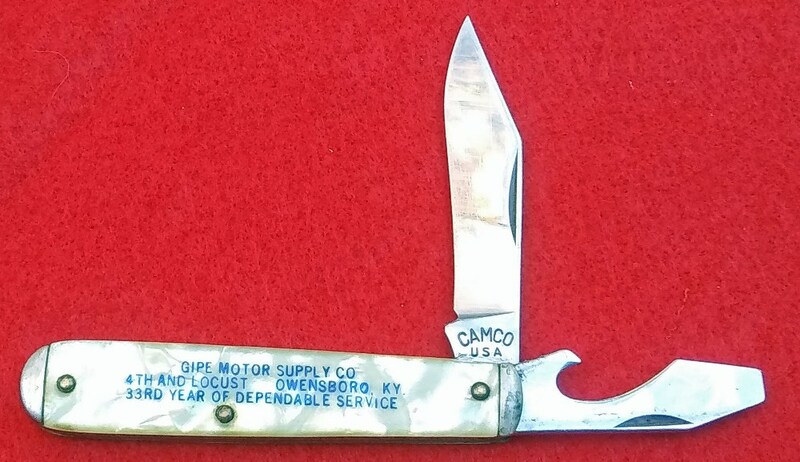 So apparently this company has grown considerably from the days when this knife was made, probably in the 1940s or 1950s. 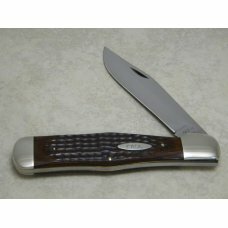 * By Purchasing, The Buyer Confirms It Is Legal For Them Purchase And Own This Knife. 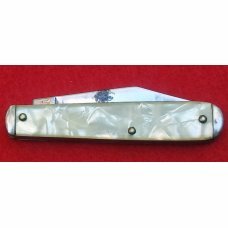 If this item is purchased with another item from Orvet Customs that has a shipping cost of $3.50 or more, standard shipping to US addresses for this item will be discounted to $2.00.